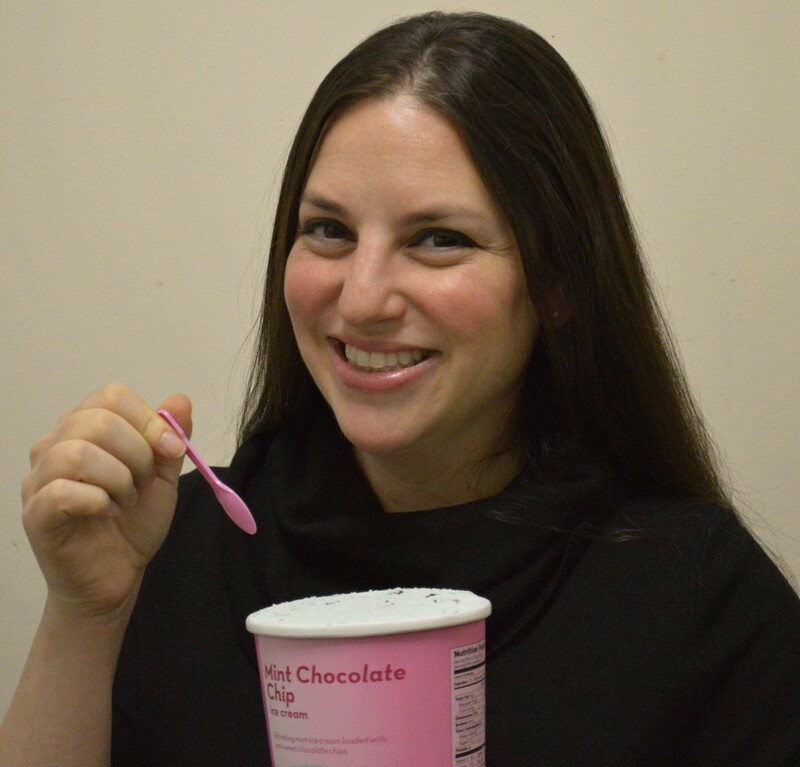 I have two children. A boy kid and a girl kid. Can you guess who has the shoe obsession? If you guessed the boy kid, you are correct. My little Salvatore Ferragamo, even at 18 months, has got an eye for shoes and accessories like no one else in my family. He insists on wearing shoes whether needed or not. We are a shoe-taking-off household so there are many shoes at our front door and downstairs by our garage door. If you want to keep my son busy for a good thirty minutes you can let him play in one of these areas. He will put each shoe on and walk around. The smile on his face is so large you kind of just have to sit there and watch. Invite us over, he’ll put on your shoes too! He doesn’t discriminate. He will also introduce his shoes – and mine – to anyone he sees. Like a dog sniffing your you-know-what to make a new friend? He does this, but by showing you his shoes. 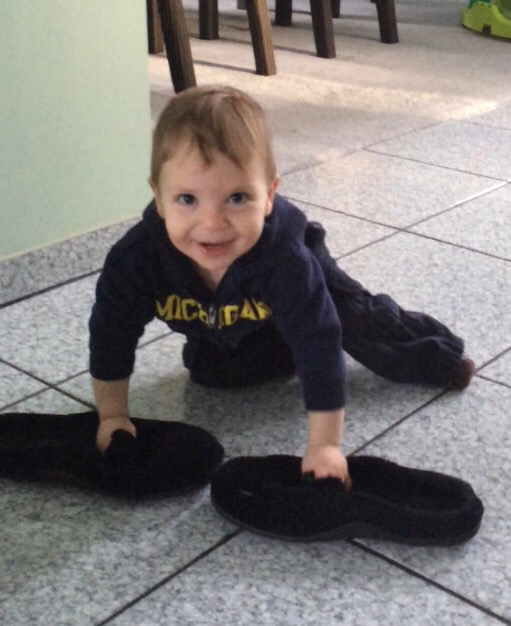 My favorite is when he forces my husband (who he calls “Mommy”) to put on his slippers, which is basically every day. 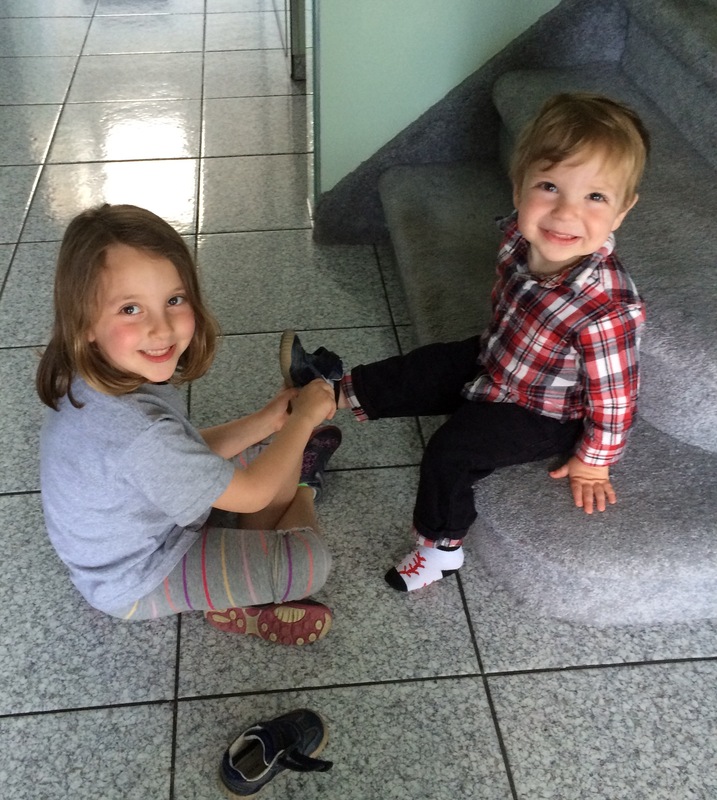 It goes something like this: He finds my husband, points vigorously towards my husband’s feet and shouts “Mommy! Mommy! Mommy!” louder and louder until my husband puts on his slippers. It’s kind of awesome. 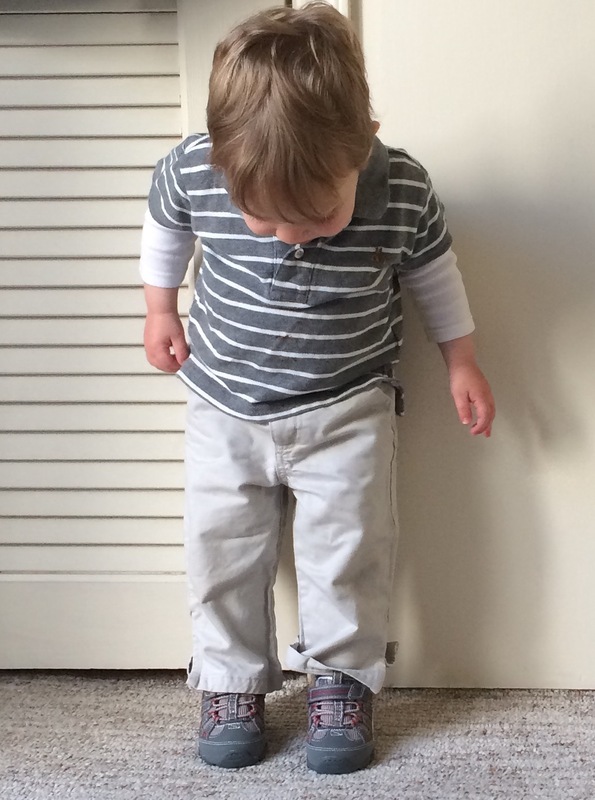 When this little shoe tyrant finally started walking, I was so excited to get him into a real pair of shoes. His first shoes! Oh was he excited too. If you’ve been reading my blog I’m sure you know my slight obsession with Stride Rite. It was the only store where I was brought as a child to buy shoes and in turn it is the only store where I will bring my children to buy shoes. So how does one go about finding the right first shoes? Much like with everything else important I deferred to the experts. I am a firm believe that if you go to a good store with educated sales professionals they can steer you in the right direction and answer any questions you have. Add in the almost century of shoe making experience Stride Rite has and it’s easy! 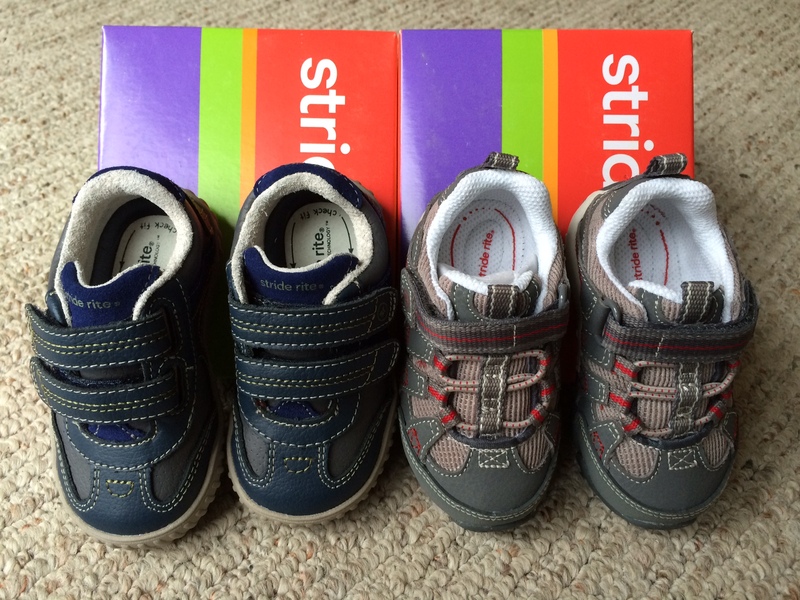 With their First Steps categories (Crib, Cruise & Walk, and Off & Running) you can view all shoes appropriate for your child at whatever level of mobility they are enjoying at that time. I was surprised to find that things had changed in the five years since I bought my daughter her first shoes. In 2010 we were directed right to the Emilia, the white, bootlike, very supportive shoe that was most likely identical to my first pair in the 70’s. For my son, however, the craftmenship has progressed to make for a much larger selection! 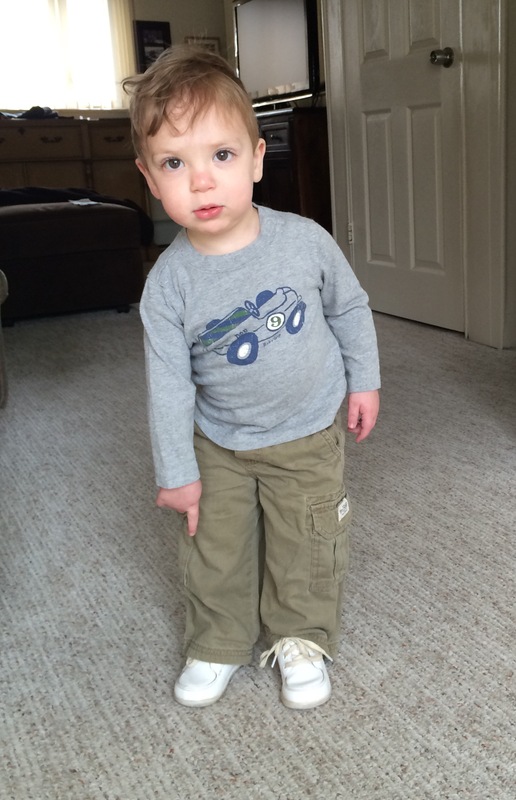 We were very excited to pick his first shoes as the Stride Rite SRT Gilmore and the Stride Rite SRT Jasper. While each pair has a few different bells and whistles, they both have Stride Rite’s patented Sensory Response Technology™, rounded edges to decrease stumbles and falls, and self-molding footbeds with contoured heel cradle. They are both made with premium leather and available in medium, wide and extra wide widths. As most of you know once the kid starts walking they don’t stop. They – in fact – get faster! You want your child to be in a supportive shoe that will help them with their footing as well as help their foot develop properly. I like that there is science behind this shoe and someone designed it to not only look cute but as a smart choice for parents. Plus, they are easy to get on and off. Even a five year old can do it! 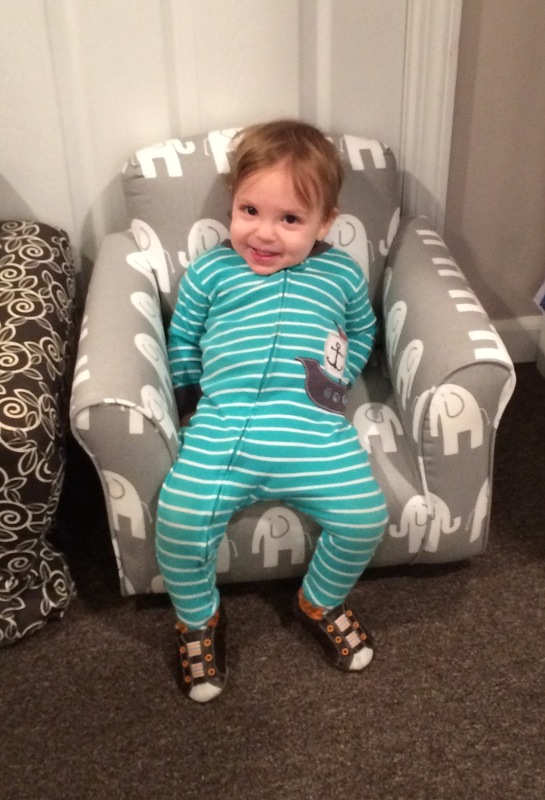 So in conclusion, happy boy, happy Mommy, well supported feet. Win Win Win! 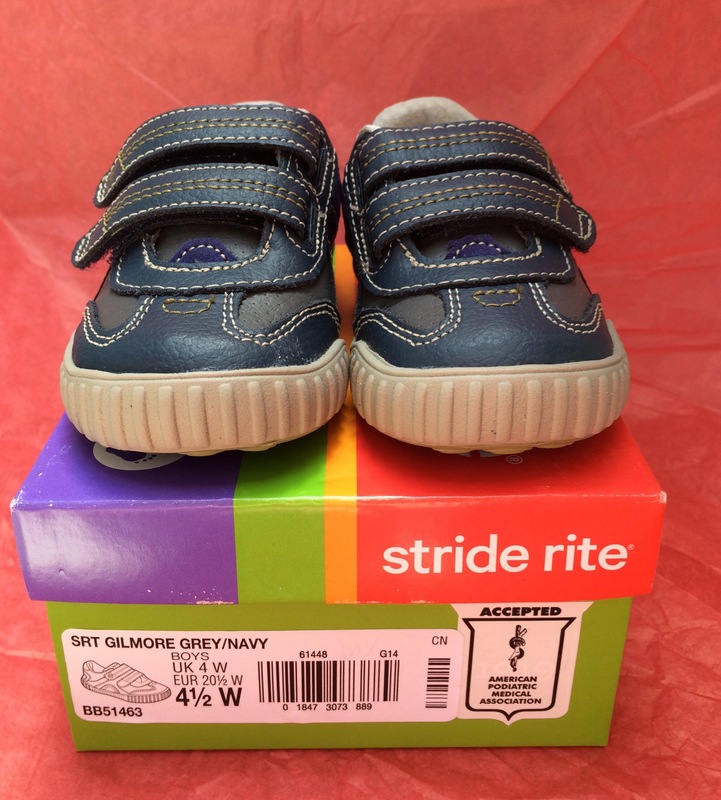 *GIVEAWAY* Stride Rite has offered to give away this pair of boy’s Stride Rite SRT Gilmore in a 4.5 Wide (both of my kid’s first shoe size) to one lucky reader! 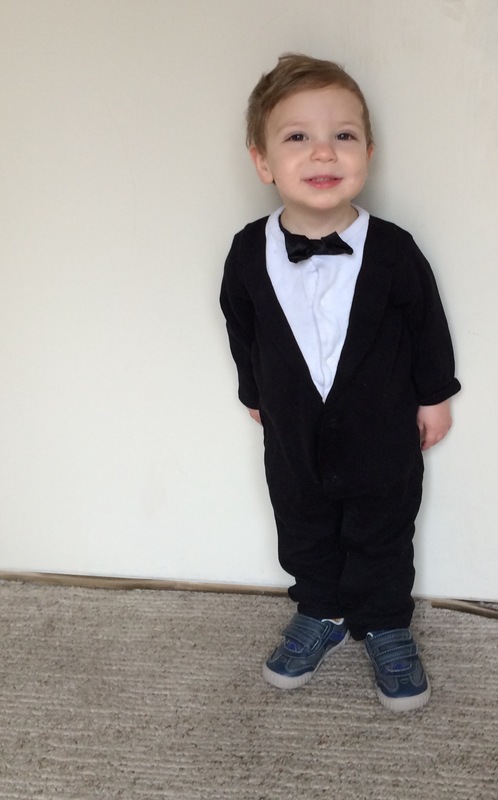 What’s the cutest walking or shoe related thing your son does? Winner will be chosen Thursday, May 14th, 2015. In 1919 Jacob Slosberg and partner Philip Green started the Green Shoe Manufacturing Co. The quality children’s shoe manufacturer, specializing in stitchdown shoes, operates out of a converted stable in Boston, MA. In 1937 the name Stride Rite shoes is applied to every pair. During World War II, Green Shoe worked with the U.S. Army to develop a nurse’s field boot and produced thousands of pairs of WAC boots. In 1986 Stride Rite succeeds in banning smoking of cigarettes, cigars and pipes from Stride Rite workplaces, a rare effort among corporations of the time. Stride Rite currently offers 400 different styles. They pride themselves in their sales associates who are trained to get you to find your size and get the right fit. The shoes feature breathable materials like leather; many with anti-stink linings. The soles are sturdy, lightweight and flexible for comfort – giving mom piece of mind. Stride Rite also offers a full line of uniform friendly shoes. Weed, Weed Wiiiiiine. Get Off My Laaaawn! my youngest love shoes, as in he is constantly playing with them while I cringe as he puts the bottom of his shoe against his head (Oh the germs!). He constantly takes them from by the door and brings them to the appropriate person, especially his big brother.